Apply in the inner eyelids. Leave on. 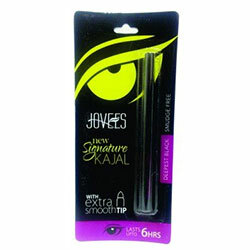 Kajal can be used daily. Triphala (Ambilica officinalis, Terminalia chebula; Terminalia belerica), Almond oil, Natural Carbon.